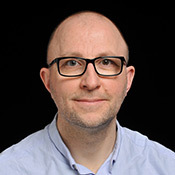 Following completion of his studies at University of Siegen, Germany, Marco started his space career in early 1996 at the German Space Agency DLR as a technical editor for web and print. Soon after he became the first full-time online editor of DLR’s Communication Department. He went on to become Manager & Editor in Chief of the bilingual DLR Web Portal in the years to come, establishing it as the major source of news and background information on Space in Germany. In 2006, he accepted an assignment to ESA ESRIN in Frascati, Italy, where he managed several ESA Earth Observation web portals representing an integral part of the respective Ground Segment. Back at DLR in 2008, he was appointed the dual function of Deputy Head of the Communication Department and Head of the Cross-Media Division, overseeing Web and Multimedia, Blogs, Social Media, Corporate Visual Identity, as well as overall communication strategy in cooperation and coordination with the Head of Department. As of 1 May 2014, Marco works as Cross-Media Coordinator and Strategy Advisor for ESA’s Communication Department. His tasks comprise strategic communication, coordination of ESA’s digital and in particular social media channels and community management. Marco is based at ESA Headquarters in Paris, France. Follow him on Twitter @marco_t. 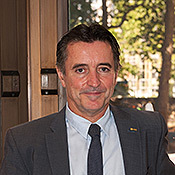 Fernando Doblas was appointed as Head of ESA’s Communication Department from January 2006 until December 2015. An Engineer by education, he is always interested in the overall picture and in understanding the evolution of our society. He is passionate about space – a sector providing answers to many essential questions. Previously, Fernando has worked as Head of ESA’s Office at Europe’s Spaceport CSG in French Guiana, where he was the ESA official representative responsible for the contract with the french space agency CNES for the support to the launch activities and worked as project manager for the Soyuz at CSG programme, leading to the adoption of the programme by ESA’s member states. Prior to this, he served as ESA’s Head of Industrial Relations and as Manager in the ESA Industrial Policy Office. Fernando works at the European Space Agency Headquarters in Paris, France. Follow him on Twitter at @FernandoDoblas.